We’re not too familiar with how well Ricoh’s Theta line of 360-degree cameras have been selling. Given how the company has expanded their roster since the original 2013 launch, we’re guessing they’ve been moving a decent number of units. That expansion continues in 2019 with the Ricoh Theta Z1. 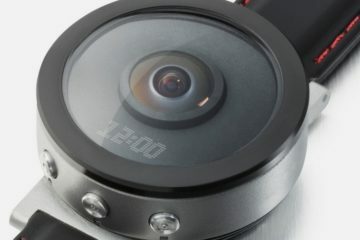 A new flagship model for the 360-degree camera line, the device is fitted with high-end consumer capabilities, pushing it a lot closer to professional-grade rigs than the typical cameras people use when capturing spherical content for YouTube and social media. 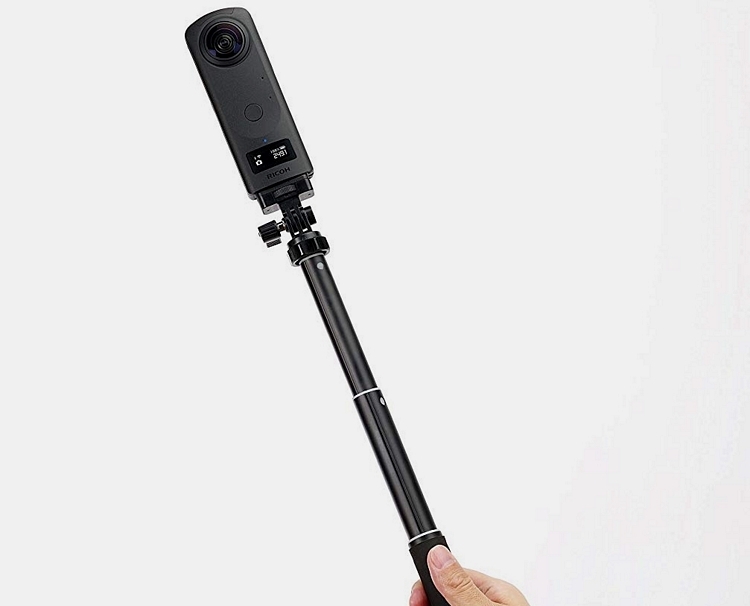 If you’re a fan of the outfit’s previous releases in the space, then this might be a fitting upgrade if you’re looking to level up the quality of your 360-degree footage. 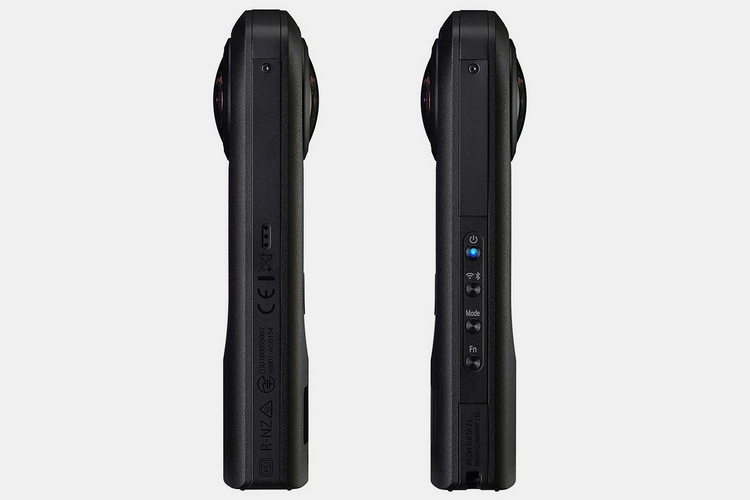 The Ricoh Theta Z1 takes on the likeness of their most-recently released model, the Theta V, albeit with larger lenses and a more robust build, both of which help lend it a far more professional appearance. It captures images using a pair of 1-inch back-illuminated sensors, which, the outfit claims, delivers superior noise reduction even in low-light conditions, while a newly-developed lens unit reduces ghosting, flare, and purple fringe. For stills, it can capture 360-degree images at 23 megapixels (6720 x 3360), all while raising overall quality with support for RAW photos (on top of its predecessors’ JPEG support), complete with a new plugin that lets you stitch RAW images separately via Lightroom (in case, you prefer going that route). 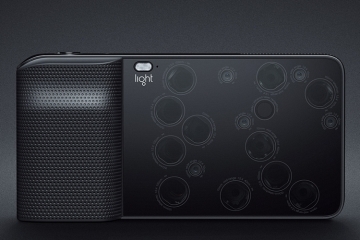 It even has variable aperture that lets you shoot those images at f/2.1, f/3.5, and f/5.6. In terms of video, the camera can record 4K spherical footage at 30 fps, complete with 360-degree spatial audio captured using the built-in four-channel microphone. 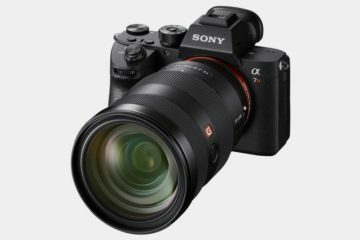 It can even livestream in the same 4K quality, with all images auto-stitched using the integrated software, so there’s no need to run the footage through a separate system. Oh yeah, it’s equipped with three-axis image stabilization, since, you know, VR is nauseating enough on its own – imagine how it feels when the darn thing also happens to be shaky. 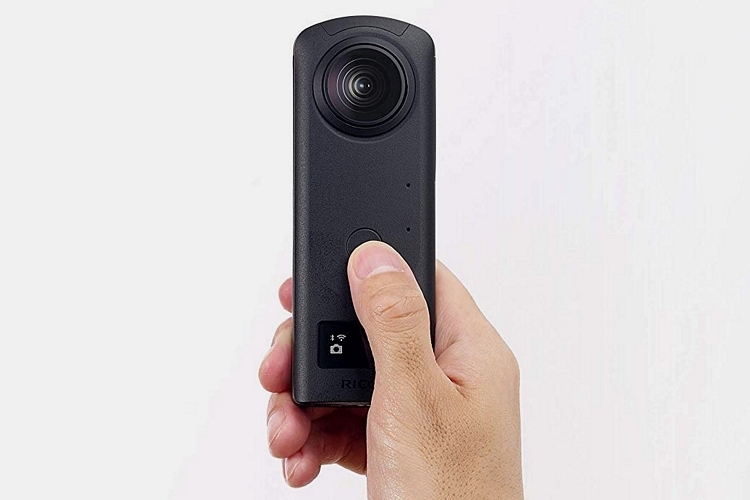 The Ricoh Theta Z1 has a small (less than one inch) OLED display on the camera’s body, where you can check the current settings, such as shooting mode, F-number, ISO sensitivity, and battery life. 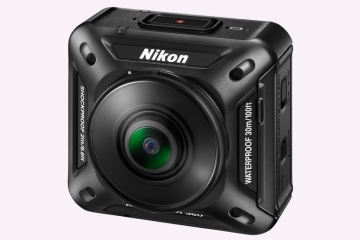 It has 19GB of onboard storage, which can hold around 350 RAW photos and around 40 minutes of spherical video at maximum quality, while the onboard battery can hold enough charge to take 300 photos or approximately 60 minutes of video footage, so make sure to have a power bank or an outlet nearby. There’s also built-in Wi-Fi for livestreaming, as well as Bluetooth 4.2, so all the basic wireless connectivity is properly covered. It runs on an Android-based operating system that makes it easy to run plug-ins, allowing folks to tailor the functionality according to their needs. Of course, it comes with Ricoh’s THETA+ editing app for post-production, in case you don’t have a dedicated application for working on spherical content. 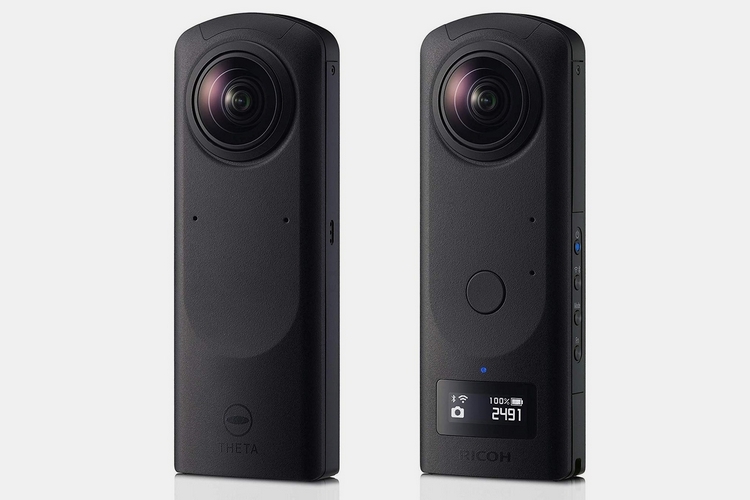 The Ricoh Theta Z1 is available now. Can you imagine how much GB extra storage you’ll need if you start filming in 4K Spherical at 30FPS? I’ll definitely need to buy more external drives for backup storage as well as upgrade my online storage backup. I have thousands of gigs f video and pictures backed up at home, but I have been looking at backing it up online too. I need a failsafe so if my house burns down or a harddrive fails that I still have another way of accessing my images. I sure would hate to lose all my footage, even though I rarely look at it or use it anymore. I despise cameras that can shoot RAW. Even amateur photographers can get amazing results using Lightroom to process their photos, as long as they are using RAW files and not the JPEGs. I’ve been getting interested in shooting some 360 footage, but still unsure of how to do it on FCPX. I do have the most current update, so it does allow 360 processing, just unsure of the workflow for editing 360 on FCPX. If you can edit and work with regular footage then you can just as easily edit 360 footage. The process is the same as with regular footage, but it does take a while to adjust to looking at the 360 footage flattened out. I’ve been watching some of the 360 porting videos on Youtube and have been pretty impressed with them. It has gotten me interested in filming my own 360 footage. I have been doing a lot of research looking at 360 cameras. Lots of brands and price points, but so far it looks like this here Theta Z1 360 is the best bang for the buck. So glad that the Ricoh Theta Z1 has RAW support! I don’t understand why this is the first Theta camera with RAW. Why did it take them so long? If you shoot a lot of video then the Ricoh Theta Z1 is not the camera for you, but for images, this camera looks amazing. No internal flash can be a bummer, but the camera is priced right so you can just buy an external flash and get better results than an in-camera flash unit anyways. 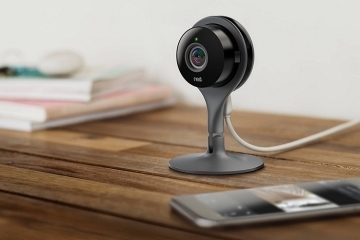 Dumb question, but when will 720-degree cameras become a thing? There was a 720-degree camera released back in 2015, but it was pretty awful. It was a camera that used a dual fisheye lens setup with one on either side, and it captured 720 degrees. That f/2.1 aperture will let a lot of light in, which will be much better for lower light shooting conditions. The onboard storage is nice, but does it still have the capability to use a memory card? 350 RAW photos would be limiting if I took this camera on vacation and couldn’t bring my laptop with me.